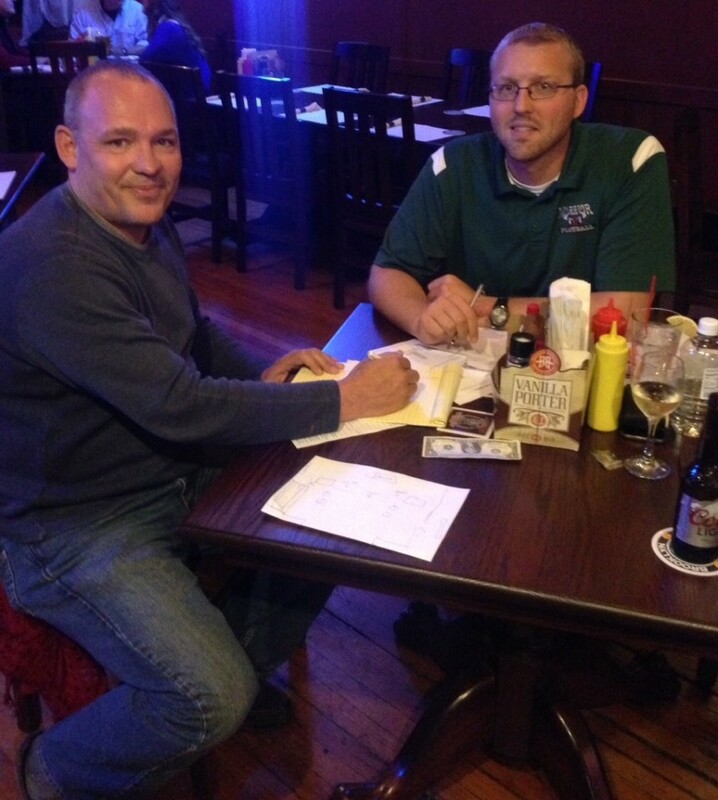 Dave Colquitt, left, and Erick Leffler, both Rotarians, served as members of the Rocktober Fest committee. Here they work on finalizing details prior to the event, Oct. 17. Rocktober Fest will feature live music, food, several raffles, with all proceeds benefiting the North Webster and Syracuse food pantries. NORTH WEBSTER — Syracuse-Wawasee Rotary Club’s Rocktober Fest is roaring into North Webster Saturday, Oct. 17, bringing with it popular band The Why Store. Stop by from 6 p.m. until closing at the American Legion Post 253, 756 S. SR 13, North Webster, for a rocking evening, good food and to show support for the North Webster and Syracuse food pantries. Formed in Muncie in the late ’80s, The Why Store is led by Chris Shaffer, a songwriter with a repertoire of 130-plus original songs and more than 30 covers. The band later split up in 2000 citing creative differences; however, in 2007, Shaffer reincarnated The Why Store, and it went on to release an album called “VIM.” Produced by Rusty Anderson, Paul McCartney’s longtime guitarist, “VIM” showcases Shaffer’s passionate song writing and refreshingly edgy vocal ability. In addition to live music, there will be pulled pork, brats, beer and margaritas. And don’t forget to participate in the flat-screen TV giveaway and raffles. Bring in canned food items and get tickets for a chance to win the flat-screen TV. A guitar signed by The Why Store will be raffled off during the event, too. A 50-50 raffle will also occur. Advance tickets to attend are $10 and are available at Karma Records in Warsaw, Radio Shack in Syracuse and at the North Webster American Legion. Tickets at the gate will be $15. All proceeds from the event benefit the North Webster and Syracuse food pantries. For more information, visit the Syracuse-Wawasee Rotary Club’s Facebook page at www.facebook.com/SyracuseWawaseeRotary/.